It was a beautiful day in Sonoma. I visited a friend who works at Cline Cellars, and of course while I was there, tasted some wines. The winery and tasting room was just awesome as ever and the people who work there are always very friendly. I tasted through about 5 wines and decided on three to buy. 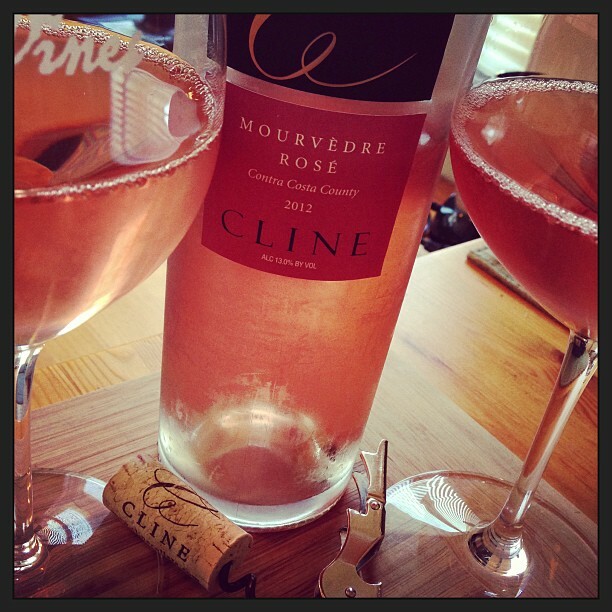 One of the three is the wine I write about today…the Cline Cellars 2012 Mourvedre Rosé.